Getting your child to eat the food they’re served is not the easiest task in the world. Children are often quite fussy when it comes to eating and parents constantly find it difficult to make healthy food seem enticing to them. So, what do we tend to do? Hand them a smartphone to fidget with while eating! While children are busy watching something or playing on an app, they’re distracted enough to quite literally, gobble up their food. Most of us adults love having some “quiet freedom” from our children’s constant noisiness at the table, be it at home or in a restaurant. So shoving a screen in front of them just makes our task a whole lot easier, right? Well, in the long run, this idea couldn’t be more wrong. We do this without realizing the long-term impact that this short-sighted, recurring decision has on our children. We’ll explain why this is bad for your child and we’ll also give you awesome alternatives that will make your child enjoy eating without the use of mobile phones or TV! Here’s a startling fact — research shows that 90% of children interact with smartphones even before they turn 2. And this is scary because children at this age (and the early years in general) should be engaged creatively to receive maximum brain development. Handing over a screen, even if it’s just during mealtime, can be a huge mistake. Because what starts off as showing the child YouTube rhymes or Peppa Pig while eating, will slowly turn into a habit that the child finds hard to break away from. And once this habit forms, the child won’t even want to try to escape from it. This behaviour of not being able to disconnect from their smartphone may also creep into other aspects of their lives and can lead to a severe addiction. Children learn to eat in accordance with these external distracting cues. They tend to eat a lot more slowly, lazily, and in an uninterested manner than if they focused on the food. Increased focus on eating and the dining table environment will lead to your child relishing the food they’re eating as well as eating exactly as much as they need and not any more or less. So, if under-eating or overeating is a problem your child has, it may come down to this root cause. Eating distractedly can cause them to overeat and eating extremely slowly because of the distraction can make them under-eat. Eating distractedly can also result in your child not chewing properly. Swallowing pieces of food that haven’t been chewed up properly, can be a choking hazard and can also lead to indigestion and even an upset stomach. Another important reason to keep the screens at bay while at the table is mere interaction. How much time do you spend in a day, seated with your family while really interacting with them? Think about it. In most modern day families, the answer would be ‘not much’. 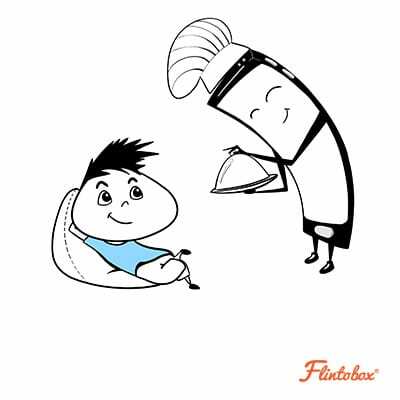 Making meal time a collective activity that your family is engaged in teaches your child the importance of keeping in touch with family and can give you details about your children’s lives and interests as they’re growing up. This directly helps in strengthening the bond you have with them. 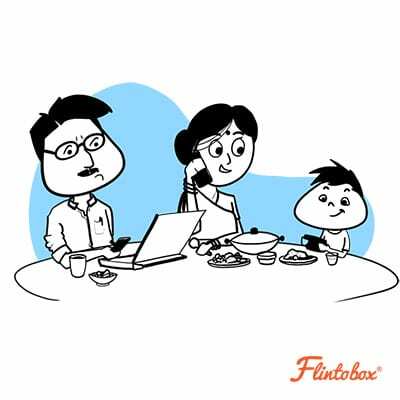 Looking at it from another perspective, if you were to hand your child a screen during meal time, the kid learns that interacting while being seated right beside your family members for an extended period of time is unimportant. This may lead the child to believe that the family ‘doesn’t talk much’ and this sort of behaviour can be seen constantly repeating itself on family trips and events. The child can tend to use a smartphone to avoid interaction with family members and can develop an idea that he/she simply does not get along with their family. What can you do to get your child to eat screen-free? The first tips we’ll look at will be about how to make food seem exciting to children so as to make the very process of eating food fun for them. They should enjoy their food and should voluntarily want to eat it. Kids are generally cranky and fussy about food when they’re served just one thing and are expected to finish it. In order to incorporate a balanced diet routine for them, give them a variety of foods in every meal. This isn’t as hard as it sounds. For example, for breakfast, include cut-up fruits in a bowl and maybe some flavoured yogurt along with cereal and milk. Whole grain rice, pasta, bread and just rotis with a vegetable, and a protein source (meat, paneer, beans, etc.) are good options for lunch and dinner! Be creative while explaining to them why a certain food is good, and be creative while making food, too. Tell your child about their role models eating the food your child dislikes, and how it helps them be who they are and become strong (does Popeye come to mind?). Make food look pleasing to them by putting a smiley face on that pancake or by cutting french toast into different shapes. You can make mini sandwich bites shaped with cookie cutters for snack time! Talk to them about how cauliflower and broccoli are like little trees and they’re giants when compared to the small vegetable. Just let your creativity match theirs and flow freely! I’m sure at this point you’re wondering what ways there are to keep your child entertained in a way that is as engaging as that ever exciting smartphone or TV program. Preparing food that the child enjoys isn’t all that it takes for the child (and you, too) to have fun while at the table. The more you command your kids to ‘finish their food’ or ‘eat the vegetables’ the less likely they are to do so. Try and suggest a dip with vegetables or a different sauce if they aren’t eating them. Or just ask them how they’ll like it the next time. Involve your child in picking out vegetables and ingredients, and even in the cooking process. If your child isn’t old enough to cut vegetables and make a salad, you could have a ‘make your own salad’ station with cut up vegetables that they can choose from and dress! You can do the same thing with a ‘make your own sandwich’ station as well. Baking with your child is a good idea, too. 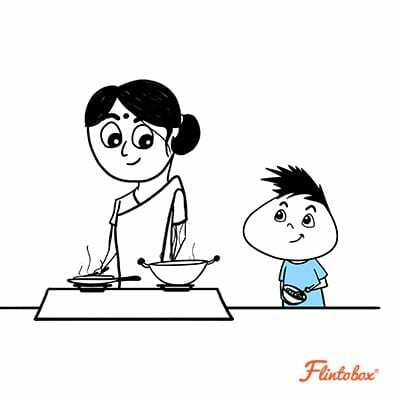 Ask your child to join you in the kitchen and give suggestions regarding what they like and what they don’t. They will always eat anything they’ve helped you create. Every time your child eats well without using mobile phones or TV, reward them with something meaningful. Children connect really well with nature. Take them out to the beach or for a nature walk! Remember how when we were kids, our parents or grandparents used to feed us? They would take us to the balcony and narrate spontaneous stories of the crow, the cat or even the jackal! They would turn ladies fingers into warriors, curd rice into snow and rotis into planets! They made mealtime interesting – and it was always something we looked forward to. So how about doing the same for your child? Tell them exciting stories, take them back in time, and make them use their creative juices to add to the storytelling too! 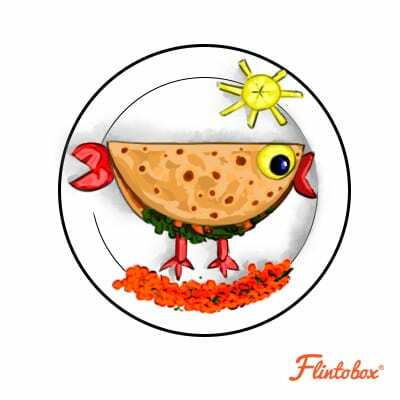 Make mealtime interesting through conversations! Talk to your child about their daily activities (begin by asking them about the best part of their day as well as the worst), any new interests they may have, and details about their academics as well as their friends. Tell them about your life and the lives of family members and ask for their opinions on any news or any decisions you may have to make, and encourage them to express how they’re feeling that particular day. This will make them look forward to spending time together as a family during mealtime! You could also engage them in an imaginative way, by asking them about their dream place to travel to and why, and about their current favourite story or toy and why it’s their favourite. Talk to them about general moral issues too, like, if they think honesty is important, how they feel about a social issue, what they wish they could change about the world, etc. Sometimes, parents discuss finances or plan the child’s school schedule during meal times as spending time together is a rarity. Having said that, avoid stressful or serious discussions during meal times. It kills a child’s appetite. Try talking about happy things and see him/her wipe the plates clean. Eat the same healthy food your child is eating – and without the use of smartphones! If you’re going to be restricting your child from using phones or watching TV or playing a video game while eating, the child is naturally going to create a fuss over it. But when you model the same behaviour and make mealtime fun for the child, it will work wonders! Remember to practise what you preach and keep your phones away during mealtime, too, regardless of how important sending that email or attending that call is. Connecting with your family does and should hold a lot more importance than that and while we can lose sight of that sometimes, we need to give ourselves a reality check by forcing ourselves to give family interaction the first priority 9 times out of 10. Hi…this article is really good. My son is 2.5years old and I have done all this, but after all he is not ready to eat anything.he don’t like juice, sweetsz cake , bread, roti, parantha,milk. I really don’t know what to do with him.i made him scared,I made him engaged in stories and all..but he don’t like anything. The only I can do is ,get him engaged in rhymes on YouTube and then he eats something . But, it’s not good for him. I tell my 3 years old stories when he eats, play games while he eats, we eat together. I do everything to avoid mobile and TV while eating. But it is a tiring and taxing job specially when it has to be repeated several times a day without any help from anyone in the family. 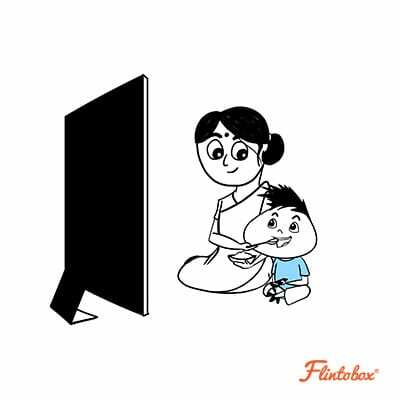 Hi Aakanksha…your article is really good and your tips are awesome…am mother of 3 year old boy, am also struggling to avoid mobile phone while eating to my son, becoz i only create that habit to him. once he was not well and refused to eat anything, so there is no other option rather than mobile phone. By showing rhymes in you tube he will eat some what and slowly it turns as habit becoz it is comfort for me and him. But now i really feel for that,That time i thought what is the easiest way to feed, i really don’t know how it will play a dangerous role in activities of child. Now he is eating very slowly and only reason behind this is then only he can able to see rhymes for longer time and for even drinking milk or juice also he need tv or mobile phone. so i advice other mother don’t create this habit, we only teach and show them. we only want to recover our children. 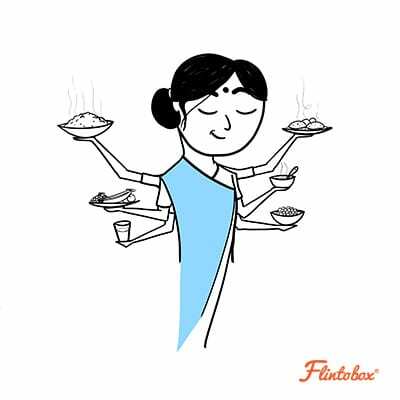 Hi Aakanksha…your article is really good and your tips are awesome…am mother of 3 year old boy, am also struggling to avoid mobile phone while eating to my son, becoz i only create that habit to him. once he was not well and refused to eat anything, so there is no other option rather than mobile phone. By showing rhymes in you tube he will eat some what and slowly it turns as habit becoz it is comfort for me and him. But now i really feel for that,That time i thought what is the easiest way to feed, i really don’t know how it will play a dangerous role in activities of child. Now he is eating very slowly and only reason behind this is then only he can able to see rhymes for longer time and for even drinking milk or juice also he need tv or mobile phone. so i advice other mother don’t create this habit.